Won a defense verdict for a lawyer and law firm against malpractice claims arising out of a business transaction. 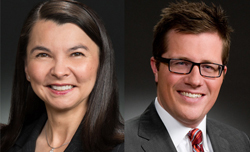 WTO attorneys won a jury trial for a lawyer and law firm accused of malpractice relating to the sale of interests in an oil and gas services company that was 50% owned by the plaintiff. The plaintiff asserted that the law firm had been hired to represent him, individually, in addition to the company. The plaintiff further claimed that the law firm failed to faithfully represent his interests in connection with the sale and, in particular, in connection with a $2.5 million carryback loan that the plaintiff entered into as part of the sale. When oil prices fell, the company was unable to repay the loan, and the plaintiff claimed he would not have agreed to make the loan at all had our client properly advised him of the risks. This issue presented a challenge to defend, as a primary factor in determining whether an attorney-client relationship exists is whether the alleged client believed the lawyer represented him or her. Lines are often blurred in transactions in which companies and their owners each have valid interests in a transaction. WTO demonstrated that our client was clear in its dealings with the company and the plaintiff, that the law firm had been engaged solely by the company, not the individual, and that our client had, in any event, acted well within the standard of care. Ultimately, the jury agreed.